You came. You saw. You conferenced. Congratulations are definitely in order, but it’s not time to stop the networking, team-building and workshopping just yet. An after-party that strikes the right balance between laid back fun and productive hustle is the perfect way to close out a conference. Follow these simple steps and set the industry standard for years to come. Your fellow conference guests just endured days filled with seminars, speakers, workshops and any other number of events and activities. Time to exhale. No matter the goal, your after-party should come off as a chill and relaxed environment, where guests can build on the events of the conference, get to know each other on a personal level and have a little fun. The right mix of space, entertainment and personal touches can help set the perfect tone. Determine the mood of the after-party and find a space to match. After-parties can run the spectrum from big, bold events to intimate, personal gatherings - whatever you choose, be sure that your event space is a natural reflection of your brand and your culture. Live Nation Special Event venues (over 50+ locations) is the perfect setting for your conference after-party. The modern rock n’ roll roadhouse atmosphere is chic, fun and designed to impress - featuring the world’s best live music and DJ’s, professional event staff and menu and cocktail lists custom-crafted for your brand. First things first! Your guests will very much be looking forward to a well-stocked bar after the demanding conference schedule. This isn’t just an opportunity to cater to their needs, it’s an opportunity to build brand awareness. Craft a signature cocktail in your brand’s image that includes a fun tie-in to your logo, colors, name or services. Your guests will be reminded of you every time they order one. For your menu, aim to give them flavors, textures and combinations that will make your brand stand out. This is a great opportunity to wow your guests with premium bites they’ve been craving. 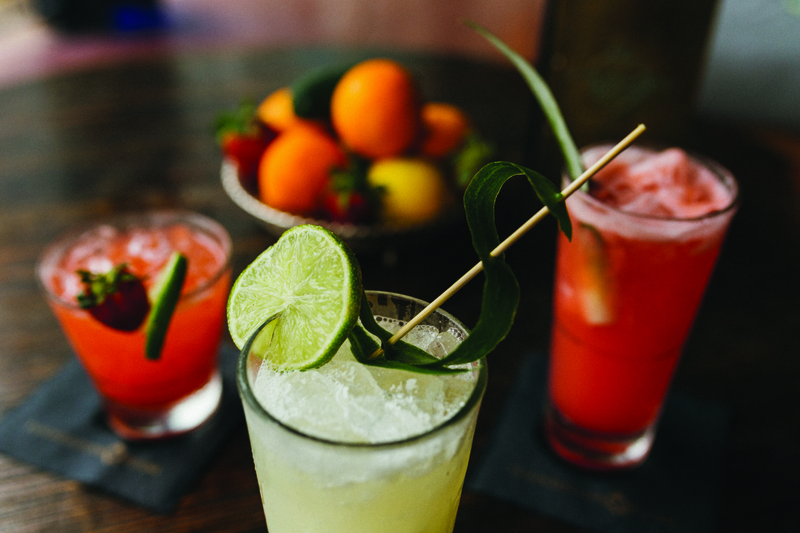 So you’ve found the perfect space and crafted a delectable food & drink menu. Nice job, but you’re not done yet. Entertaining your guests is the key to transforming your after-party from a simple cocktail hour into an unforgettable experience. Live music and DJ’s are always a popular way to get the crowd going and the party started. As always, you’re going to want to anticipate the room and foresee their wants. If your conference was heavy on A/V presentations, perhaps a live speaker to engage with would be a great change of pace. Don’t forget that people love surprises; introducing an unbilled act or guest is a sure way to captivate your audience. Don’t forget that while you're aiming to entertain your guests and give them a first-class experience, it’s equally important to further your brand. Whatever you hope to achieve (thanking key clients; courting new business; recruiting top talent), be sure and find ways to execute your agenda through small personal touches. Literally put your name in lights on our venue marquees or multiple spaces around our venues. Branded giveaways and door prizes, the event’s agenda and even little touches like complimentary transportation should be an integrated extension of your brand. Give your guests a memorable experience and a first-rate interaction with your brand. 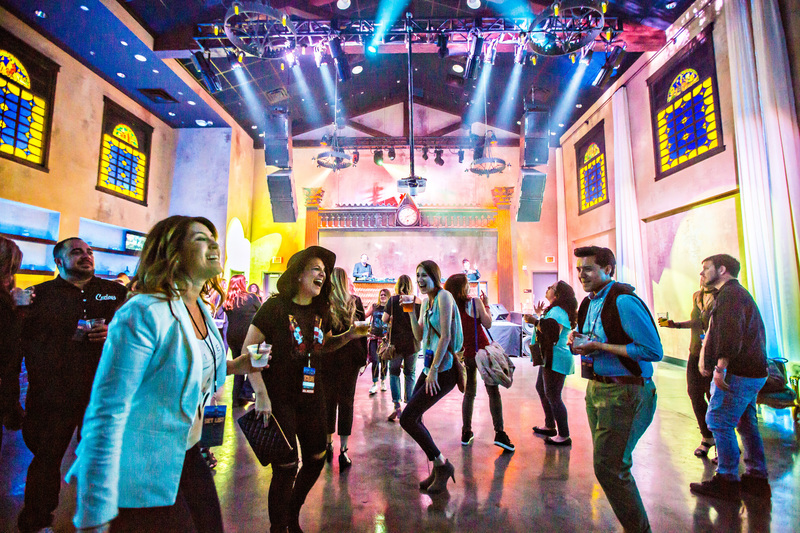 Reserve your conference after-party at a Live Nation venue today.